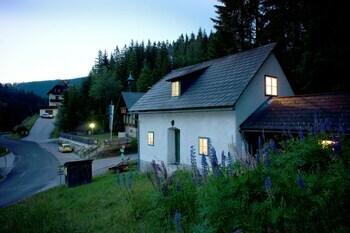 Located in Krieglach, this guesthouse is connected to a shopping center, a 1-minute drive from Rosegger's Forest School and 12 minutes from Rosegger Museum. Featured amenities include complimentary wired Internet access and express check-out. A roundtrip airport shuttle is provided for a surcharge (available on request), and free valet parking is available onsite. With a stay at this apartment in Vienna (Favoriten), you'll be within a 15-minute drive of Belvedere and Wiener Prater. A stay at this apartment places you in the heart of Vienna, within a 15-minute walk of St. Stephen's Cathedral and Spanish Riding School.